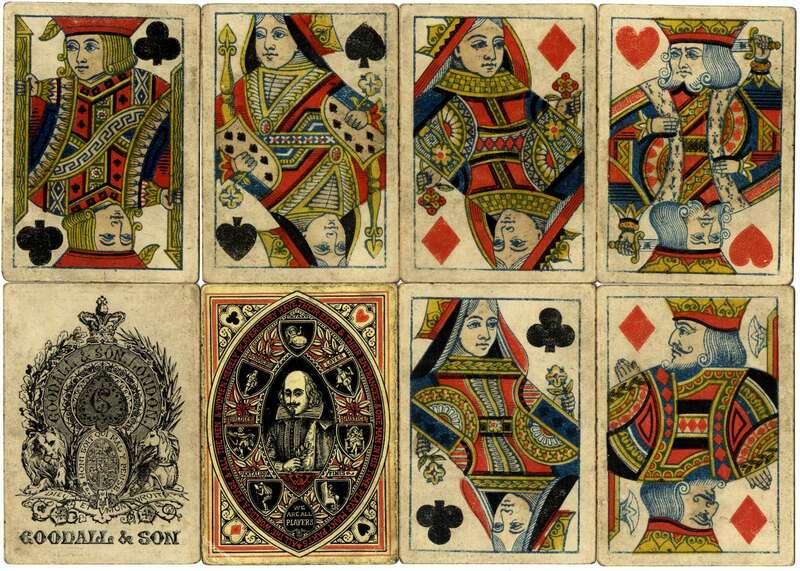 Playing Cards produced by Goodall & Son in 1864 to celebrate the tri-centenary of Shakespeare's birth. The back features the Seven Ages of Man designed by John Leighton (1822-1912). The court cards are unturned: six of the court cards have the large suit symbol at the right-hand side. These were later turned so that all the suit symbols lay at the top left-hand side of the court cards, thereby enabling players to fan their cards more easily with all the suit signs visible. Above: playing cards produced by Goodall & Son in 1864 to celebrate the tri-centenary of Shakespeare's birth. The cards are square-cornered and of the best Mogul quality. The Ace of Spades is an early example based on the Old Frizzle which had been discontinued in 1862. 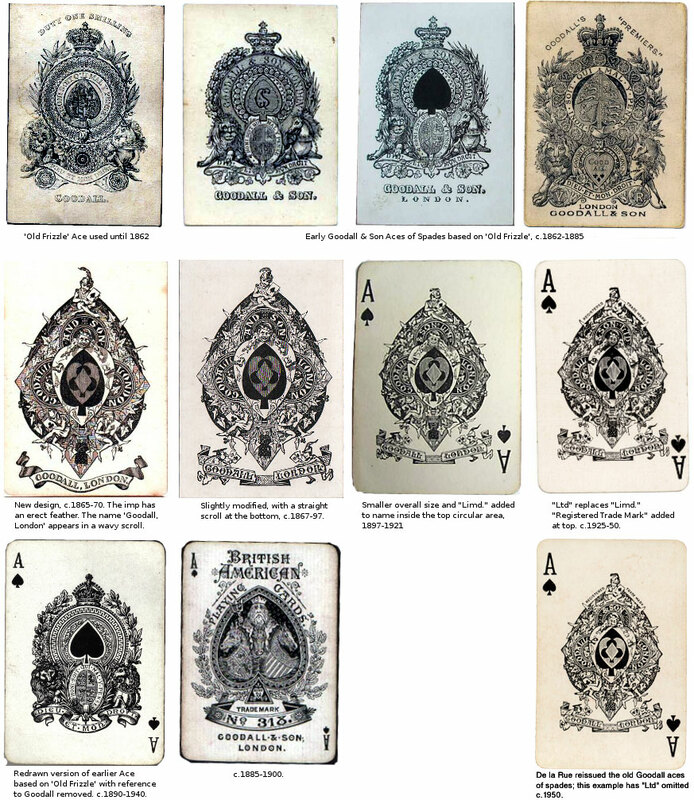 The pack was reissued in the 1880s and 90s and also in about 1910 with the appropriate current Ace of Spades.